Mohamed Lotfi EL AJERI is a Lawyer at the Court of Cassation, Mediator trained in Mediation, Arbitrator, and member of the Tunis Bar since 1998. He is specialised in all matters related to Business Law, Corporate, M&A, Mediation and Arbitration. Mohamed Lotfi EL AJERI holds a Bachelor's Degree in Law from the University of Paris Nord (1995); of a Master's Degree in Judicial Studies from the University of Paris Nord (1996) and a Post-graduate Diploma in Business Law from the University of Paris Nord (1997). He also attended courses in preparation of the International Legal Studies Certificate at the University Paris II, Institute of Higher International Studies. Following several professional collaborations with Tunisian and Foreign Law Firms, he founded in 1999 the Firm « EL AJERI LAWYERS "EAL"». Mohamed Lotfi EL AJERI is a member of the International Union of Lawyers, Representing Tunisia at the International Association of Young Lawyers (AIJA). Since 2006, he has been a Mediator in civil and commercial matters, approved by the Brussels Business Mediation Centre (today known as the B Mediation) and specialised in International Arbitration. In 2014, he was designated by his peers to become a Member of the Executive Committee for the Conciliation and Arbitration Centre in Tunis. Mohamed Lotfi EL AJERI periodically contributes to the yearly World Bank "Doing Business" report, participates, contributes and speaks at several international seminaries and congresses on Business Law, Mediation and Arbitration (Damas-UIA in 2010, Tunis CCI in 2012, Algiers 2012, Casablanca 2013) and local events (Tunis, February 2012- Sousse, June 2012 and Tozeur, November 2012, Bizerte and Sfax 2013), Casablanca May 2014, Tunis, November and December 2014, Tunis, January, May 2015. 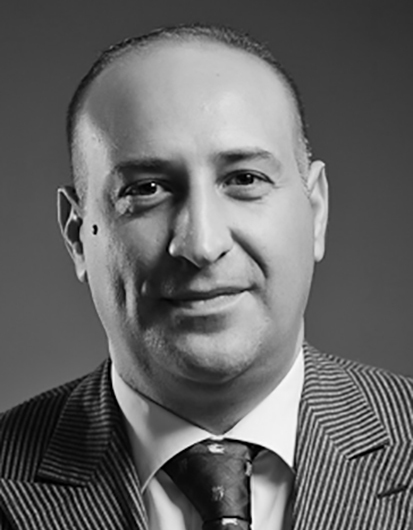 Dr. Lotfi El Ajeri joined CBA as Legal Expert in August 2015.